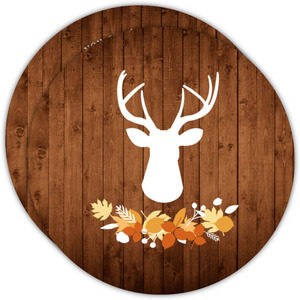 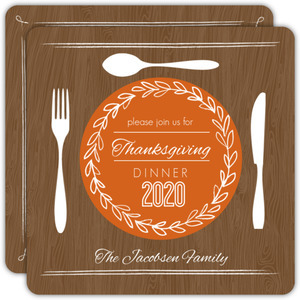 It's your turn to host Thanksgiving this year. 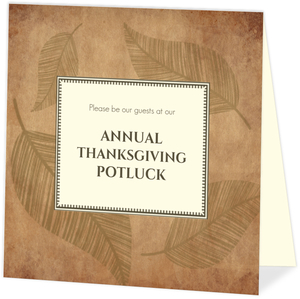 Be it your first time, or your 10th, planning a Thanksgiving dinner is a lot of work. 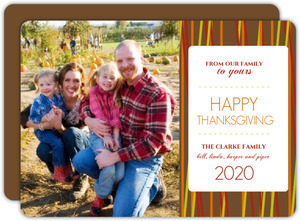 We want to take a bit of that work away from you. 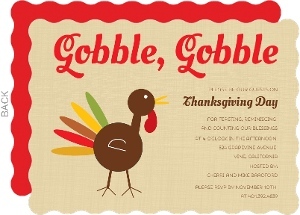 And we've got some suggestions. 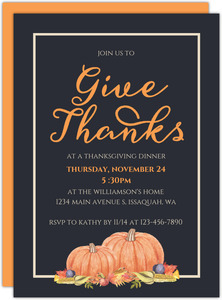 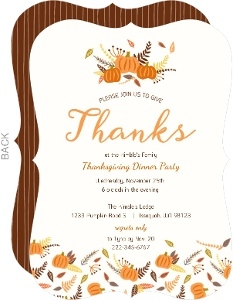 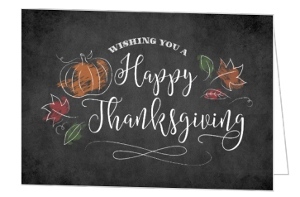 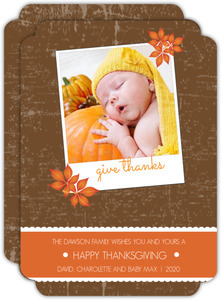 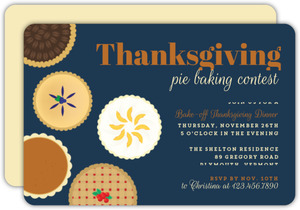 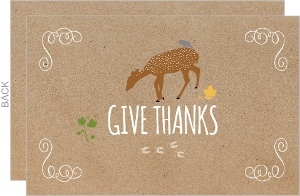 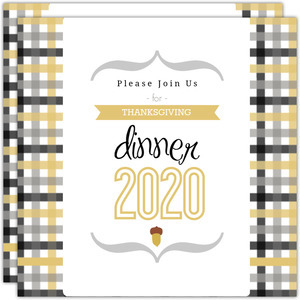 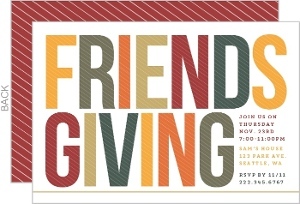 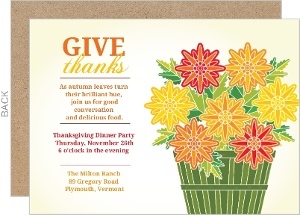 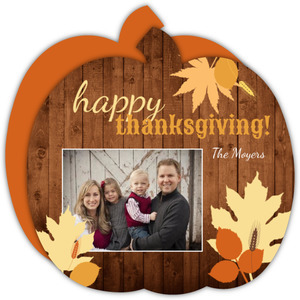 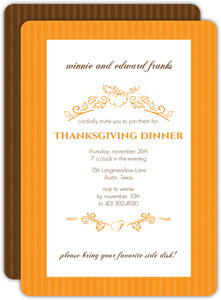 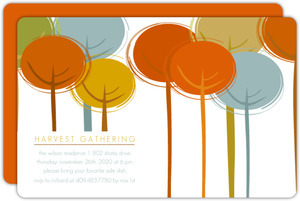 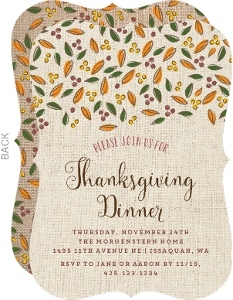 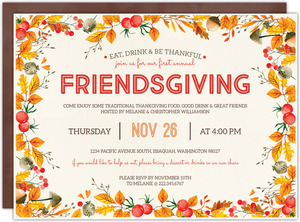 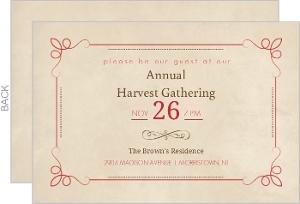 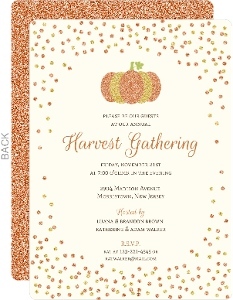 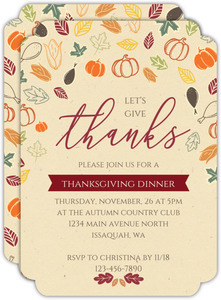 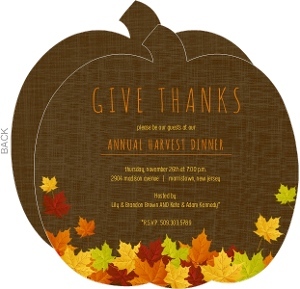 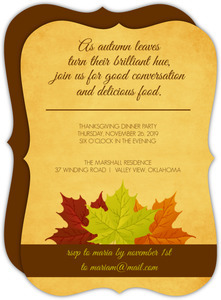 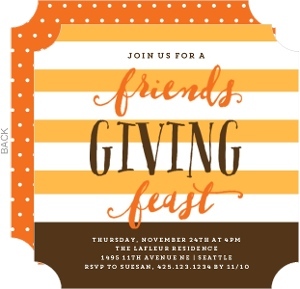 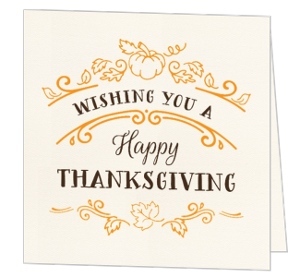 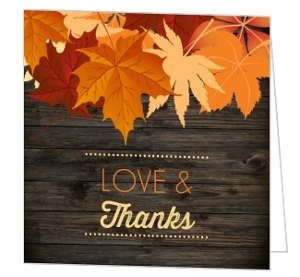 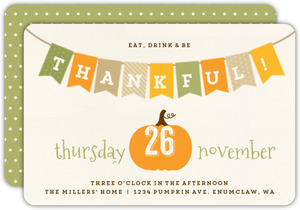 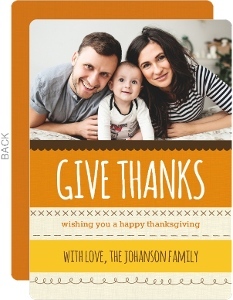 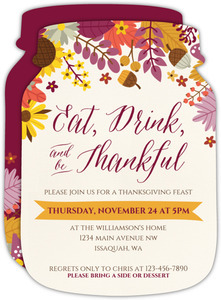 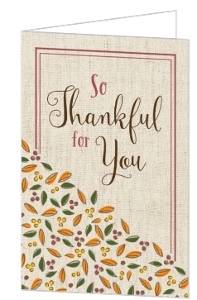 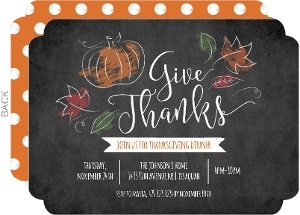 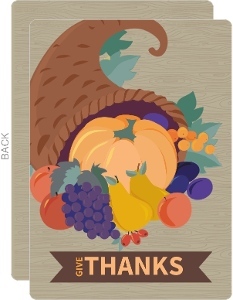 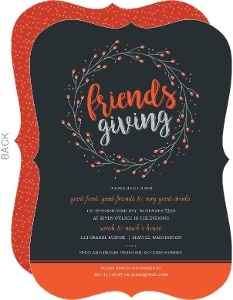 First, get your Thanksgiving Invitations from us, and enjoy really quick processing and shipping, even for normal orders. 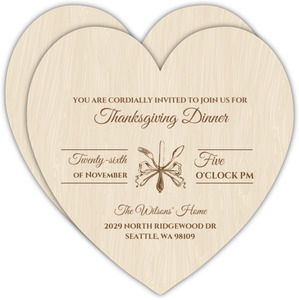 It's usually about a week from the time of order to the time that they arrive. 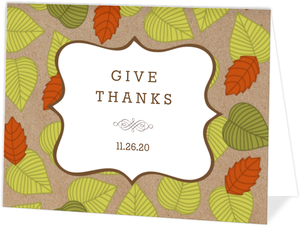 You can customize them to say 'bring a dish' so you're not cooking everything! 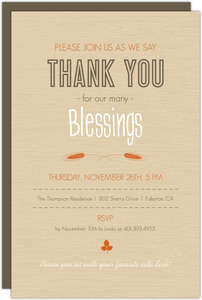 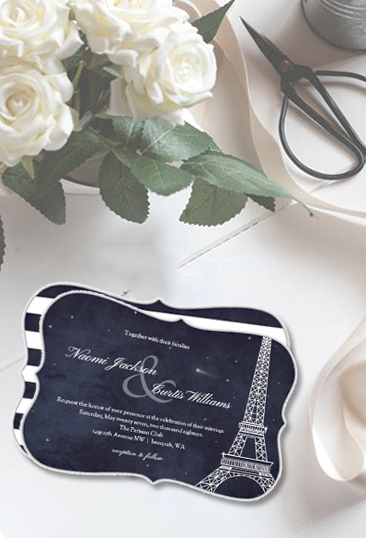 We can also mail them to all your guests for you through our mailing service program. 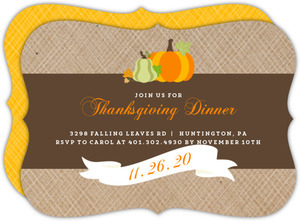 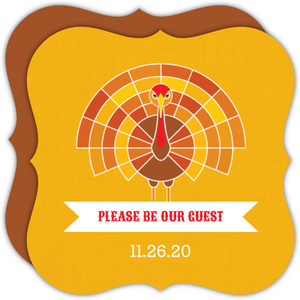 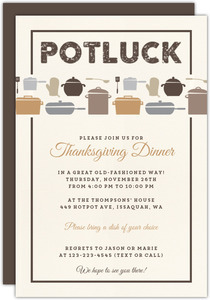 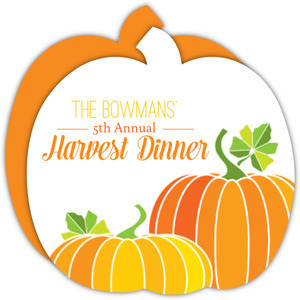 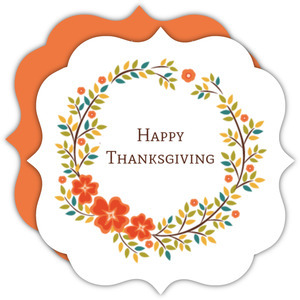 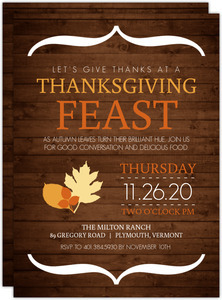 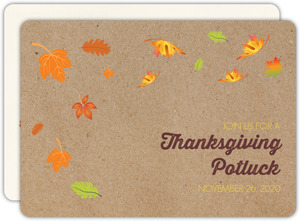 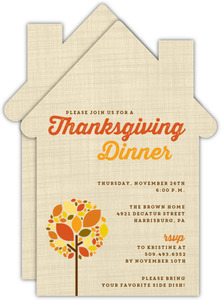 Your Thanksgiving Dinner Invites will be addresses, stuffed, sealed, and sent from our facility, saving you some time. 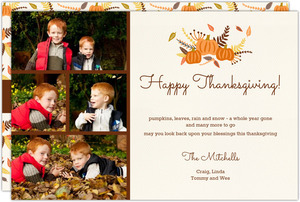 This is a big hit in the holiday season when it can sometimes feel like there's not enough hours in the day. 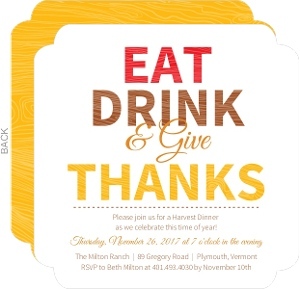 We're here to help you out, and between our cards, our blog full of party and holiday tips and ideas, and our commitment to quality, there's no reason to find your invites elsewhere.